Yesterday there was the top-level decision makers' seminar Well-being for All that was the wonderful conclusion for the week. 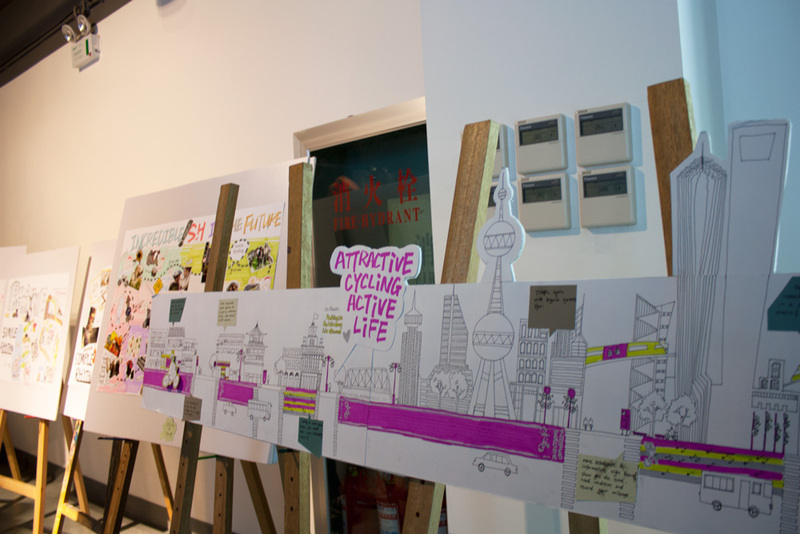 Today after 4 p.m. our exhibition will be closed and the rest of us will soon leave Shanghai. The seminar was a great success. Many presentations were given and the student exchange agreement was signed. After the seminar the guests visited the exhibition. Everybody was happy that the distinguished president of the Donghua University Xu Mingzhi was there, too. Later in the evening all the keynotes, decision-makers and the university staff, had a dinner together. After this exhibition week Helsinki Metropolia has new friends and definitely new possibilities to collaborate with Donghua and other chinese institutions of higher education. There were lots of people in the seminar. 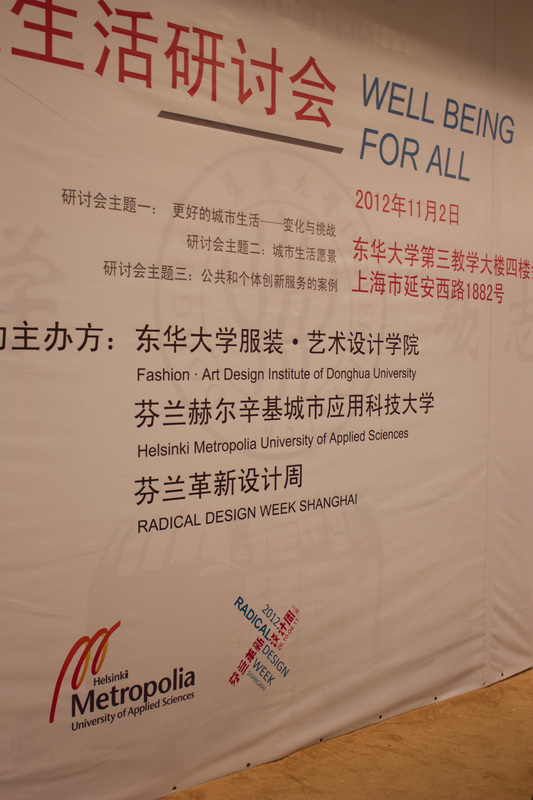 Signing the agreement of the student exchange between Metropolia and Donghua Universities. 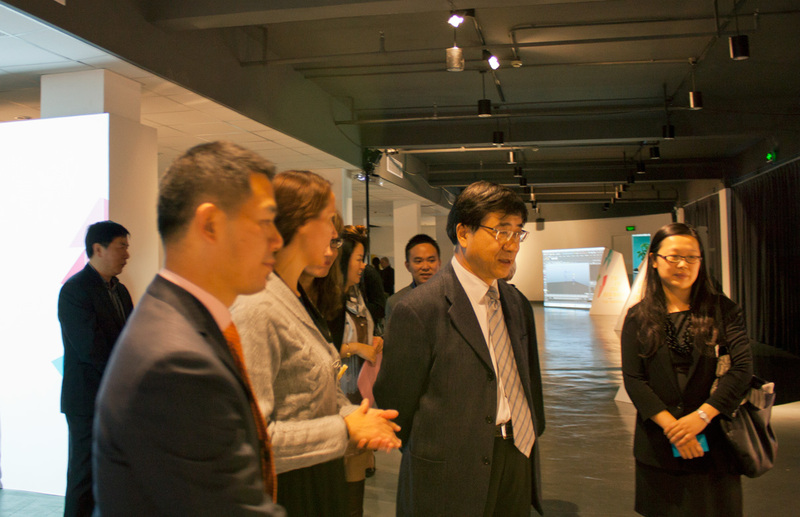 The President of Donghua University, Mr. Xu Mingxhi visited our exhibition. In the exhibition there were more to see. 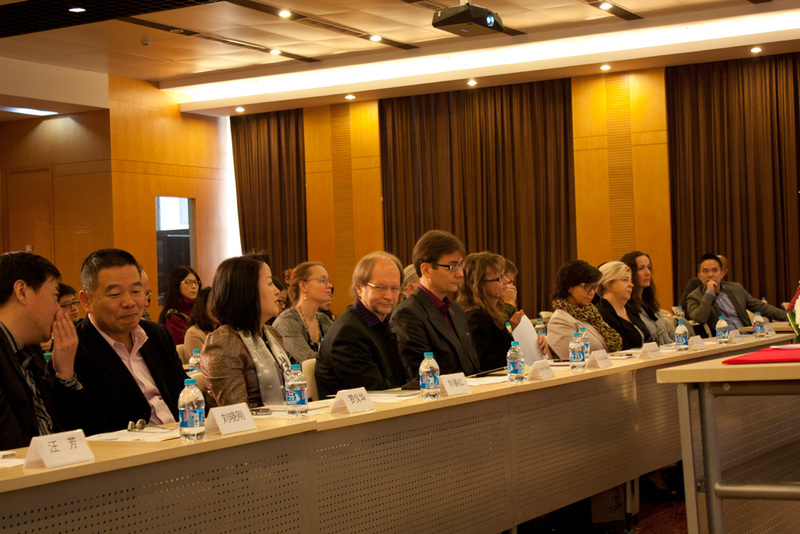 The three workshops were introduced.